Call of Duty 2017 News & Updates: Mobile Game Developed By A New Developer? Call of Duty 2017: King of developers: King.com! Father of warfare games: Call Of Duty! The masterpiece of human technology: Mobiles! Put these all together, switch on the mixer and you are bound to get the unprecedented and one of the most anticipated results of the 21st century: The Call Of Duty on handheld devices! Yes!! 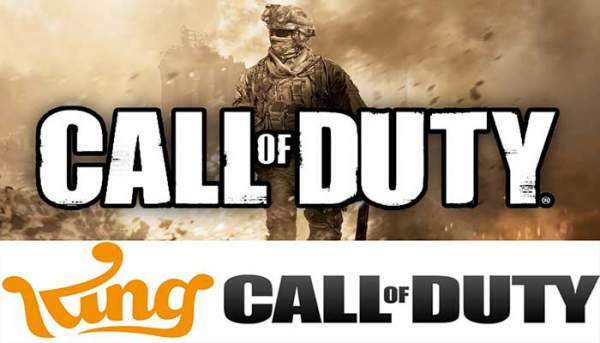 The top-notch Swedish Developers better known as King Games, has recently posted a blog stating that they need developers for creating the mobile spin-off the most sought after game in any college fest- The Call Of Duty. The game’s franchise, better known by its acronym COD, is published and owned by Activision with developing contributions from Infinity Ward, Treyarch, Sledgehammer Games, Nokia and the list goes on. The game which is supposed to be one of the most played games in the arena of first person shooter games has sold over 250 million copies. Their games topped US$15 billion and are undoubtedly the first choice of the bigger chunk of the college students across India. And it really seems to be a lifetime opportunity for a game developer to be part of this morphing of the franchise suitable for mobile phones, as the post on the websites states wherein it’s calling recruits for the posts of skilled Level Editors, Art Directors, and Senior System and User-interface Designer. The official announcement doesn’t throw ant light on the fate of the game itself but still, the news is already creating waves in the field of virtual gaming. The studio better known for the games like Candy Crush and Blossom Blast Saga is undoubtedly bound to deliver something really amazing and won’t disappoint the fans of the COD. It is not to be mentioned that if you are playing at the level of the games like this, the expectations are supposed to be really far higher than normal. The rumors on the ground indicate that it won’t be really wrong if one expects this on too to be a be a Match-3 Puzzle game, as the history of games King provides, suggests. The post from the websites goes something like this…..
“Our challenge as a team is to create a Call of Duty 2017 experience on mobile that will strive to transform the best console experience. Fans know and love, while also breaking new ground for mobile and redefining the genre,” reads a King blog post. Our approach and ambition are to be fresh, social, and highly accessible while providing a very authentic game experience. With names like King Studios and COD being involved, it is bound to happen that hopes of the fans have skyrocketed to whole new level and only time will tell whether they do deliver up to the mark or not. Till then, stay tuned to TheReporterTimes for more gaming related updates!